Okay - when I look back through the files its been atleast 5months since we posted the last newsletter. I will totally admit thats rubbish! It has been a monumental 8months at CFSK. 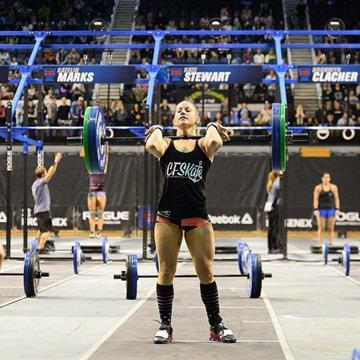 From buidling a new space, relocating the gym, the 2015 CF Open, and Regionals, KB Seminars, Running Programs, new members, old members leaving, considering its only May we have a lot to look forward to for the rest of the year. My first mention for this newsletter is a massive shout out to the amazing Coaches at CrossFit StKilda for all their hard work, their attention to detail, their genuine care for our clients, and their awesome spirit. CFSK is fortunate to have such a great mix of high quality, passionate Coaches. To Aimie, Arthur, Jack, Sarah, Amy, Kate and Britt - Thank You. Coach Kates 2015 Regionals campaign.. 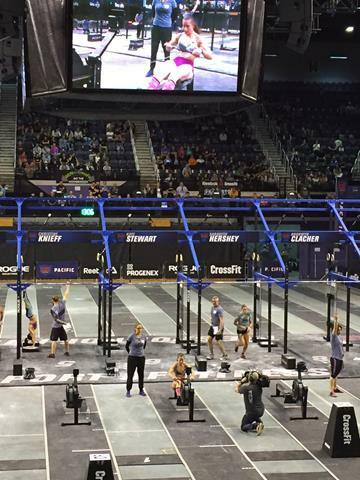 The past weekend saw the 2015 CrossFit Games Pacific Regionals. 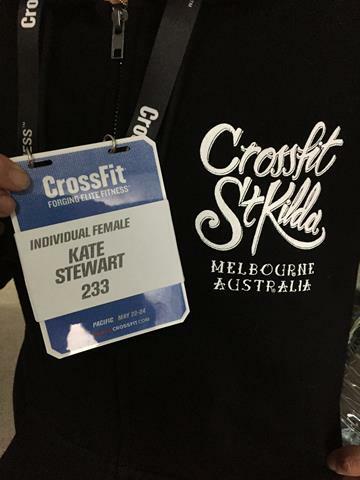 For the 2nd consecutive year our own Coach Kate was amongst the fittest women from the Pacific region (Aus, NZ, Asia, Russia) after qualifying with a 25th place finish at the 2015 CF Open. As Kates partner (and sometimes Coach...) I might sound a little bias, but the time, effort and hard work that Kate (and all the Regionals Athletes for that matter) put in for qualifying and preparing for the regioanls is truelly amazing. Countless hours of solo training, either before work, on lunch breaks or late in the evening, the physical and emotional stress of wanting to achieve your goals, and the desire to do your 100% best can be a monumental challenge for even the worlds best professional athletes. But these athletes at the regionals level simply do it because they love it. Kate has shown amazing determination to qualify again this year. 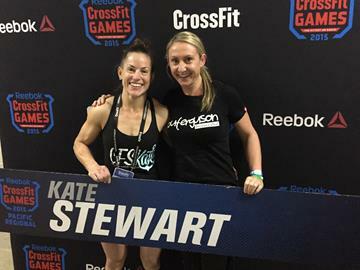 Kates slogan going into the 2015 CrossFit Games season was Adversity - Tenacity - Integrity. I think she sums up all of those perfectly with her training ethic, her desire to be a positive role model and the way she performed at this years Regionals. Congratulations Kate. We cant wait to see what happens in 2016! Kate and 'The' Lou Ferguson. Final rep for the Regionals. See you in LA Simon! Just another busy night for Coach Aimie! - CFSK Inhouse CrossFit Comp. - CFSK Inhouse Weight Lifting Comp. More Importantly, what would you like to see more of ar CFSK? Feel free to send us a message as admin@crossfitstkilda.com.